Sierra Nevada Corporation’s Dream Chaser completed an important step toward orbital flight on Wednesday, with a successful captive carry test at NASA’s Armstrong Flight Research Center in California, located on Edwards Air Force Base. 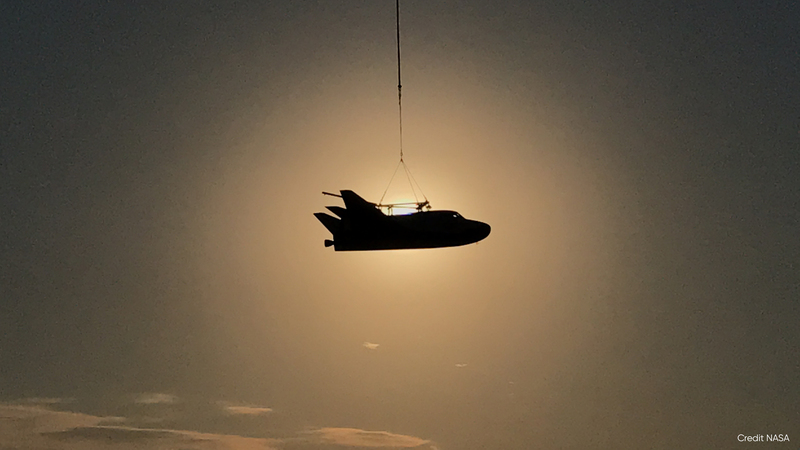 A helicopter successfully carried a Dream Chaser test article, which has the same specifications as a flight-ready spacecraft, to the same altitude and flight conditions of an upcoming free flight test. The captive carry is part of a series of tests for a developmental space act agreement SNC has with NASA’s Commercial Crew Program. The data from the tests help SNC validate the aerodynamic properties, flight software and control system performance of the Dream Chaser. The Dream Chaser is a lifting-body, winged spacecraft that will fly back to Earth in a manner similar to NASA’s space shuttles. The successful captive carry test clears the way for a free flight test of the spacecraft later this year in which the uncrewed Dream Chaser will be released to glide on its own and land. The test campaign will also help finalize the design for cargo version of the Dream Chaser in preparation for the spacecraft to deliver cargo to the International Space Station under NASA’s Commercial Resupply Services 2 (CRS2) contract beginning in 2019. The cargo Dream Chaser will fly at least six resupply missions to and from the space station by 2024. The addition of Boeing Starliners and SpaceX Crew Dragons to the manifest of spacecraft heading to the International Space Station in the near future raises more than the opportunities for astronauts to fly to and from space aboard American spacecraft. It also increases the amount of science and broadens the research that can be performed aboard the orbiting laboratory. That’s because the new generation of human-rated spacecraft are being designed to carry time-critical science to and from the space station along with astronauts. Researchers will be able to work with astronauts aboard the station to undertake a wide array of different science investigations and will benefit from the increased opportunity to see their research returned back to Earth for continued examination. The spacecraft also will aid in the goal of establishing and maintaining a crew of seven astronauts, which could increase the research time in microgravity. Mission planners anticipate that increasing the crew size on the U.S. segment by just one crew member could effectively double the amount of time dedicated each week to research.